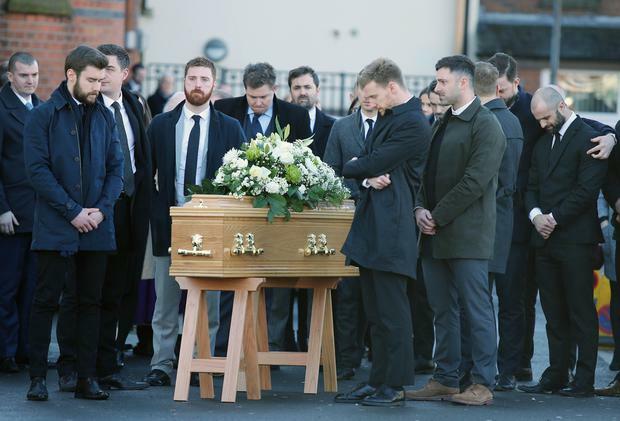 The heartbroken friend of Michael Cullen penned a moving poem in a tribute to him which he performed at his funeral. From the North Circular Road in north Belfast, 33-year-old Michael - known as 'Cull' - was an established beatboxer who had performed before audiences in Ireland and the UK. His body was recovered from Cave Hill Country Park last Wednesday following a high-profile search backed by well-known figures including boxer Carl Frampton and actor Sir Kenneth Branagh. He was last seen by his family on January 9. His funeral heard how he was a "kind and loving person". Hundreds of mourners packed Sacred Heart Church in Belfast on Tuesday to pay their final respects. Life-long friend Niall Mellan performed a powerful poem for his friend. In it he went through their friendship from P1, their love, laughter and tears over 28 years and how his legacy will go on and they'll meet again. “Band of brothers from the beginning, band of brothers to the end. Can’t wait for our next hug man, only then will my heart mend." Funeral service for Michael Cullen at the Sacred Heart Church, Oldpark Road, Belfast.